NEW! See the top referral sources for any website. Want to know which websites refer the most visitors to your competitors? Now you can find out using our new incoming referral data, powered by Compete. This new report will allow you to see any website’s top 25 referring domains. It will tell you the percentage of traffic and the exact number of monthly visitors it receives from each referring domain. It’s useful to understand which websites are referring the most visitors to your competitors. You are likely to find that there are a few websites delivering most of the traffic to your competitors. 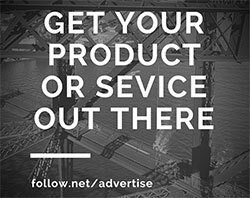 If you’re not advertising on those websites, you might want to start doing so. 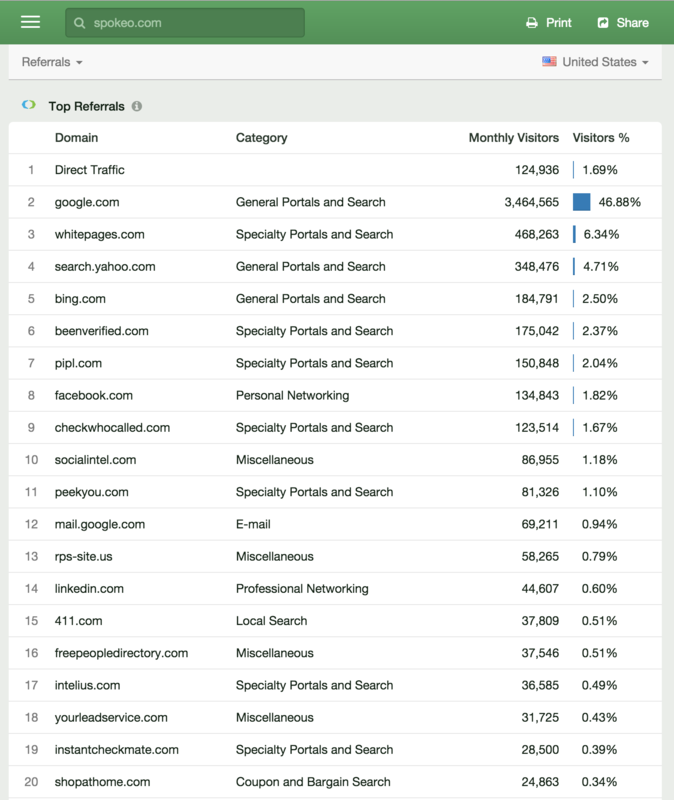 Here’s an example report for the website spokeo.com, a people search website. They receive 1.69% of their traffic from visitors who came directly to their website and were not referred by another website. 46.88% of their visitors arrived from google.com, 6.34% from whitepages.com and 4.71% from search.google.com. If you were competing with them in the people search business, advertising on Google Search, the White Pages site & Yahoo Search would probably be a very wise idea. What websites are referring the most visitors to your competitors? Find out today! Our referral data is now available to all of our paid users. Not a paid user yet? Upgrade to Follow Pro today! This entry was posted in New Features on August 2, 2015 by Wes Mahler. This is a useful tool! As you said, It’s really convenient for getting to know your competition and their sources of traffic.